This is one of the first shows to divulge to the inner-workings of Presidential politics, and inside the White House. The West Wing follows the lives of the staff as they help President Jed Bartlet make the critical decisions that consequently affect the nation and the world. 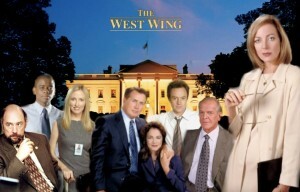 Each episode follows President Bartlet and the staff’s daily lives as they handle the political and legislative issues facing the administration. From getting pioneering legislation through Congress to dealing with international crises, this show, along with a star studded cast, lured viewers and made a deep personal connection with them by addressing real world issues. The X-Files is one of the divisions in the FBI, devoted to unsolved cases that appear to have some unexplained, paranormal elements. The files take their name from the filing cabinet where they were kept – originally filed under U for unsolved, they grew too big for the drawer and were moved to the less populated X cabinet. 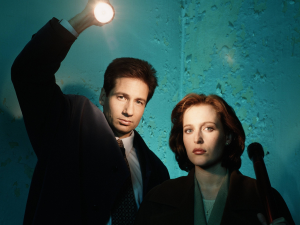 Soon, the X-Files became a dumping ground for reporting of UFOs, alien abductions, and other arcana that the FBI didn’t want to investigate or didn’t believe in. Fox Mulder, a serial-killer specialist and a believer in paranormal phenomena ever since his traumatizing childhood requested to be transferred to the forgotten basement. Eventually, he was assigned a partner – the skeptical and scientific Dana Scully, who was assigned to discredit Mulder’s works. The X-Files not only gained a cult following, but this long running series always delivered deep plots, shocking twists and turns that always left us on the edge of our seats. Twin Peaks follows FBI Special Agent Dale Cooper as he is sent to assist in the investigation of a murdered girl. However, he soon realizes that there are many strange happenings in the small logging town of Twin Peaks. Season one opens with the discovery of the body of Laura Palmer and Sheriff Harry S. Truman come to the aid to get to the bottom of it. Season two opens with Laura Palmer’s murderer revealed, but new murders happen as Cooper and Truman race to find who the killer is before it is too late and more innocent people die. A very short-lived series, but the show made astonishing breakthroughs in television, along with creating and finalizing a terrific storyline mostly in season one. Die-hard fans will debate that the show should have only been one season as many feel the show and its characters were overworked. However, the series finale negates those theories and remains one of the most engaging and mysterious finales in television’s history. 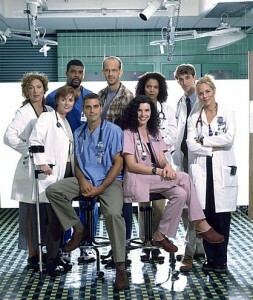 ER follows the daily happenings of the doctors, nurses, and interns at Chicago’s County General. We originally meet our cast and the series used a revolving door of cast members in addition to launching the careers of many big stars today. Throughout the fifteen seasons there have been numerous challenging cases in the ER that involved helicopters crashing, doctors being beaten up inside the hospital, and the personal dealings with the doctors, nurses, and families inside County General. With so many of the great TV shows, the characters kept things together. To the show’s credit, the rotating cast maintained high levels of consistency. Latecomers were just as captivating as earlier characters viewers fell in love with. For a series with 331 episodes to its name, that is a colossal accomplishment. When a young vampire slayer by the name of Buffy Summers, moves to Sunnydale, California, she quickly finds out that Sunnydale is located right on top of the Hellmouth – the center for all evil activity. Her new watcher, Rupert Giles, also happens to be the school librarian. It is Rupert’s job to train her and guide her in all the skills she needs to be the best Slayer. She and a group of close friends, commonly referred to as “The Scooby Gang”, help her in her battles. This show is one of the first to explore the modern world handling a life alongside vampires. This show truly opened the doors to the majority of Vampire/Warewolf shows created today. This show is a smart, movielike drama about the professional lives, social values and sexual exploits of advertising executives circa 1960, right when the business was at its height of charm, authority, and prestige. Viewers are inside the walls of Sterling Cooper agency, which sells everything from cigarettes to political candidates. Our main character, Don Draper, is a fast-rising creative director whose suave shell hides a multitude of secrets. We also learn to love the ladies in the office who struggle with many of the challenges in the 1960’s along with the setbacks corporate wives experience. 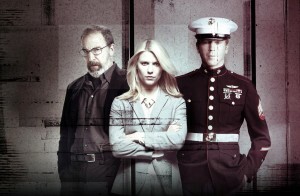 Homeland focuses on Marine Sergeant Nicholas Brody, who returns home eight years after going missing in Iraq. The other lead is Carrie Mathison, a driven CIA officer who suspects he might be plotting an attack on America. While each of them manages mental health issues, and a possible love connection, viewers are constantly struggling to find out who the mole is and what will happen next. Walter White, a chemistry teacher turned crystal meth cook after learning he has terminal cancer. 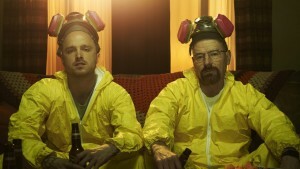 In order to create a better life for his family, he turns to the meth and finds an unstable partner in Jesse Pinkman. They quickly slide further into the drug world’s abyss, and continually manage each setback they face including taking down drug lords, relationships, DEA family connections, and making the best meth the market has ever seen. 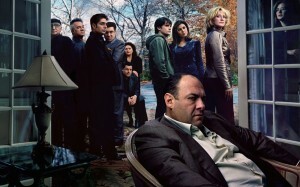 Tony Soprano, family man, manager a deadly enterprise, and extremely stressed out man on the verge of breaking. All the while trying to escape the FBI, avoid mob power struggles, and handle is shaky marriage. His struggling wife Carmela and his two angsty teenage children all provide further proof why he needs psychiatric care. He is consistently aim to reconcile the consequences of his life choices, balance his world and be a better man. All of these characters we come to know best have the ability to trigger a range of emotions—glee, despair, surprise, fear, anger—allowing us to love them and hate them in equal parts all while addicting anyone who is watching. The Wire is the most important television series of the 21st century and is practically textbook truth. Set in Baltimore, this show‘s focus is the city’s inner-city drug scene. It starts as mid ranked drug dealer, D’Angelo Barksdale, skidding by on a murder rap. His judge, Det. James McNulty assigns him to lead a duo of a homicide and narcotics team in order to bring down drug kingpin Avon Barksdale. Avon, along with his right-hand man Stringer Bell, enforcer Wee-Bey and many lieutenants (including his own nephew, D’Angelo Barksdale), have to deal with law enforcement, informants in his own camp, and competition with a local rival, Omar, who’s been robbing Barksdale’s dealers and reselling the drugs. All the while, Lt. Cedric Daniels, the supervisor of the investigation, has to deal with his own set of problems. The most interesting part is that show depicts the lives of every part of the drug chain, and we see different views from junkies to dealers and from cops to politicians. Nailed it with the top 3 in perfect order, would’ve included Justified and Game Of Thrones though.